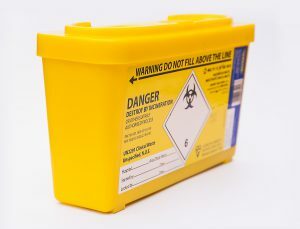 Medical sharps can become a hazard to anyone in contact with them if they are not properly managed and disposed of. Sharps disposal services can help eliminate contamination concerns, including the spread of disease, illness, and pathogens, in order to keep your organization safe. 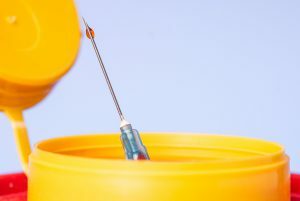 Sharps are relied upon by hundreds of thousands of people every day in the United States in order to utilize life-saving medicines. Conversely, once these sharps have been used, the issue of properly and safely disposing of these devices is created. Sharps disposal services alleviate these worries by handling the disposal process for you. Sharps disposal services usually pick up sharps disposal bins on a regular schedule set by the location. The schedules can range from daily to once month, depending on the volume of sharps that normally accumulate. There are also options to send your sharps for disposal by mail, in pre-paid packages that are made specifically to safely store medical sharps. Shred Nations offers free, no-obligation quotes on sharps disposal services for your location. Simply fill out the form on the right or give us a call at (800) 747-3365, and you will be contacted within minutes with your free quotes.